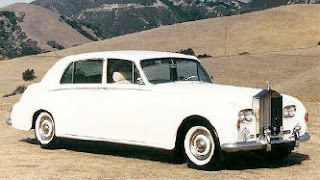 Guest blogger Eric Roberts provides a summary of the search for the whereabouts of John Lennon's White Rolls Royce (EUC 100C) that has taken much of our time the past few months. There have been unexpected twists, revelations and red herrings in this collaborative search for the current owner of John & Yoko's famous white Rolls Royce and its whereabouts. 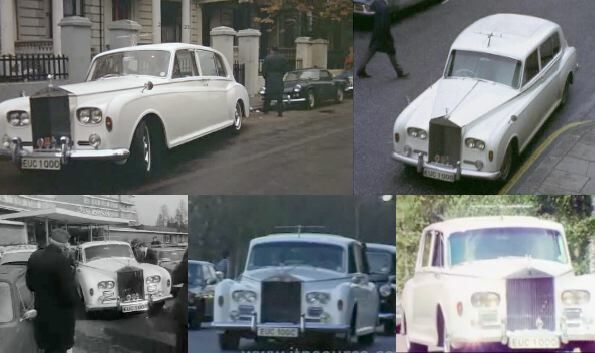 The trail began with Sam & Rebecca Umland's original research for their book, Donald Cammell: A Life on the Wild Side (FAB Press, 2006), in which they mentioned that it was John Lennon's white Rolls Royce (EUC 100C) used in the final sequence of Donald Cammell and Nic Roeg's Performance (filmed 1968; released 1970). After reading Sam's blog entry The Ballad of John & Yoko's Rolls, I was intrigued and immediately commenced digging for any relevant data. Suspicion first fell on Phil Spector, due to a statement by Plastic Ono Band drummer, Alan White, that in 1970, Lennon handed Spector the keys to EUC 100C at the conclusion of the Imagine sessions. The fact that Lennon's friend and producer still owns a vintage white Rolls Royce added weight to White's recollections. However, Telegraph journalist Mick Brown cast doubt on this theory by commenting that Spector never indicated during the course of several interviews that his white Roller once belonged to John Lennon. On the contrary, Mick was specifically told that the limousine that ferried him from his hotel to Phil Spector's mansion in Los Angeles was a "1965 Silver Cloud III," not a Phantom V. On closer inspection, Spector's 1965 Rolls Royce appears smaller and less spacious than a top-of-the-range Phantom V.
You'll notice the more rakish lines of the Silver Cloud, as if intended for younger, sportier members of the aristocracy. By contrast, the Phantom V is like a ship on wheels. Speed isn't the main priority: it's all about gracefulness, stability, and spectatorship. Solid, reassuring and very British, the 1965 Rolls Royce Phantom V was the epitome of English craftsmanship, a special state of refinement, one perhaps no longer permissible or possible in the 21st Century. Only 500 were ever made. These modifications are not apparent in the photo of the white Rolls Royce in Phil Spector's driveway. Likewise, they are lacking in shots of the white '65 Phantom V in the Tebo Auto Collection in Colorado which is unambiguously attributed to Lennon. So the question remains: Where is EUC 100C? For a list of previous threads on this topic, click here. According to the DVLA in the UK the car has not been on the road (taxed) since October 86. This means either: It's in a barn or in storage somewhere or its been exported out of the uk, but still holds its number plate. The same thing happened with John Steeds Jaguar from the Avengers. That was discovered in an barn earlier this year and auctioned a couple of weeks go. Thank you so much for your helpful sleuthing regarding the MOT status of the white Phantom V. As far as we know it has been the property of the Klein family (and/or Apple Corp) since 1969. 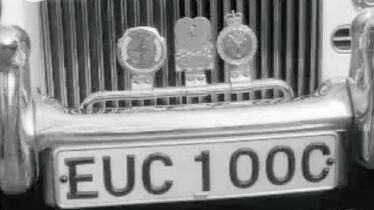 In December 1985, EUC 100C was auctioned by Christies in London but failed to meet its reserve, which I believe was in the vicinity of £250,000. Presumably, it was then garaged indefinitely at Allan Klein's English residence. Rolls-Royces are not unique in being susceptible to rust, caused by the heavy use of salt on snow covered English roads, so it may not have been legally drivable. EUC 100C has had a long and complicated restoration history over the last 25 years or so, but there is a rumour that John and Yoko's white Phantom V will return to public view later this year. Keep you eyes peeled on the UK R-R Enthusiast's Club, of which Jody Klein is a long time member.